I love a meal replacement shake. It is such a fast tasty breakfast, or an easy on-the-go lunch. 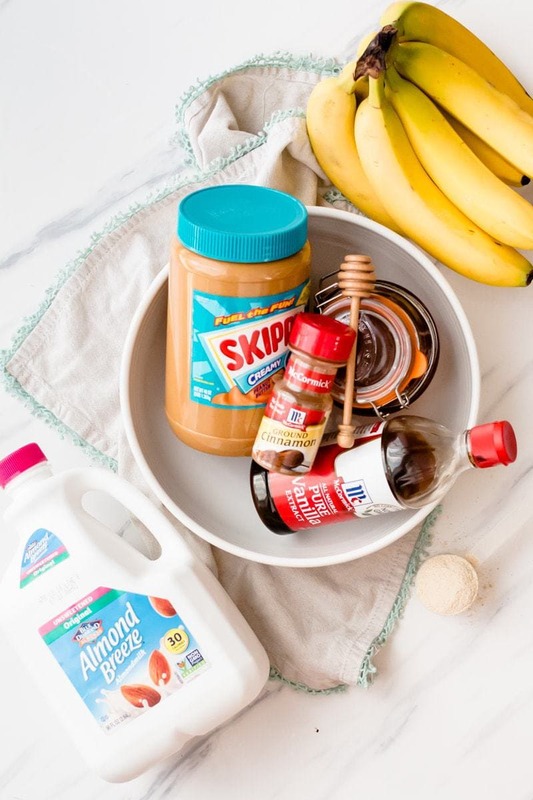 I’ve enjoyed experimenting with fun combos to keep that ol’ boring protein shake exciting and yummy. 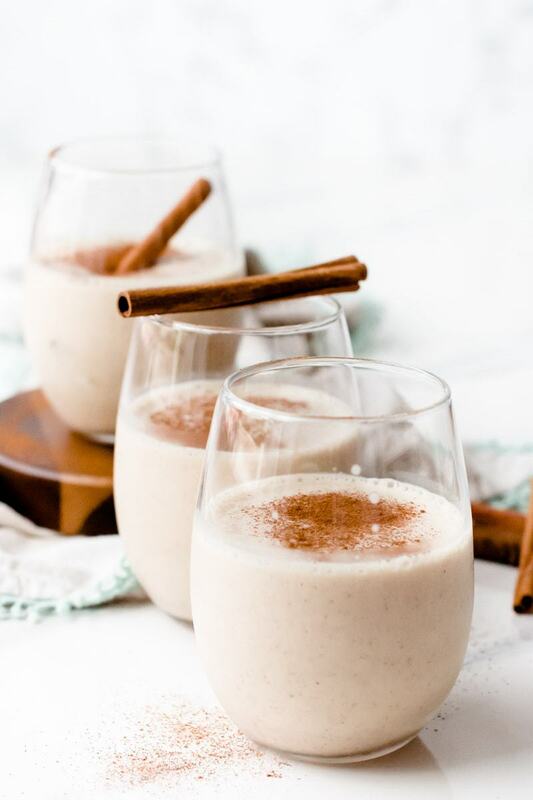 This Snickerdoodle Protein Shake has been my favorite lately. 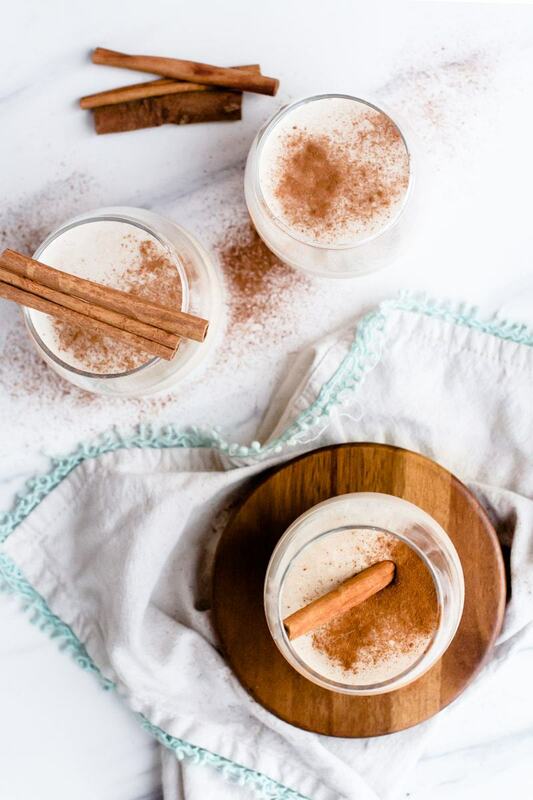 Who doesn’t like drinking cookies for breakfast??? I got this recipe from a friend I am doing a fitness challenge with a tweaked it a little to my liking. I love having an easy breakfast that I actually look forward to. I can whip this up in my Blendtec in seconds and have a satisfying and delicious meal with zero cooking, chopping, or waiting. I need to take a minute to profess my love for my Blendtec. 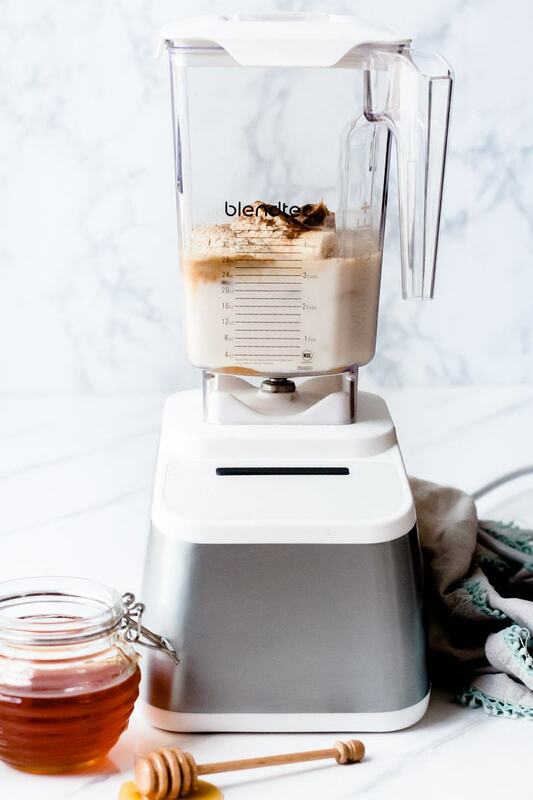 We post a lot about this blender here on the blog. We have never been sponsored to say so, we just truly, truly, love this blender. I use mine at least once per day. It blends everything smoothly and is so easy to clean. I promise you that you will be so so sad when this shake is gone. 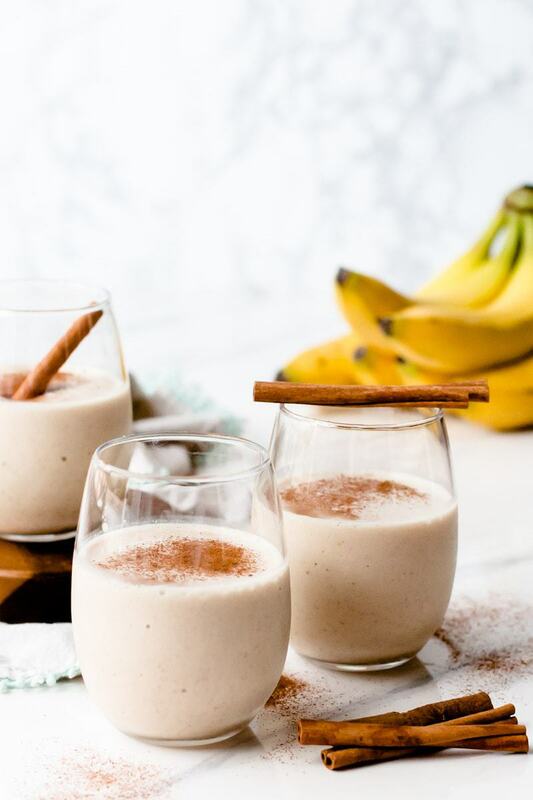 My kids beg for a sip when I make this shake for myself. Speaking of kids – we have a shake just for them coming up later this week, so stay tuned. 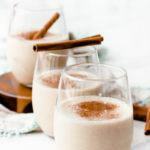 If you try this Snickerdoodle protein shake recipe, please come back and let me know just how much you love it. I know you are going to become addicted just like I am, ha ha! My favorite protein powders are BSN Syntha 6 and Shakeology. Shakeology is pricy, but includes lots of super foods that Syntha 6 doesn’t. You can only get shakeology from Beachbody.com. 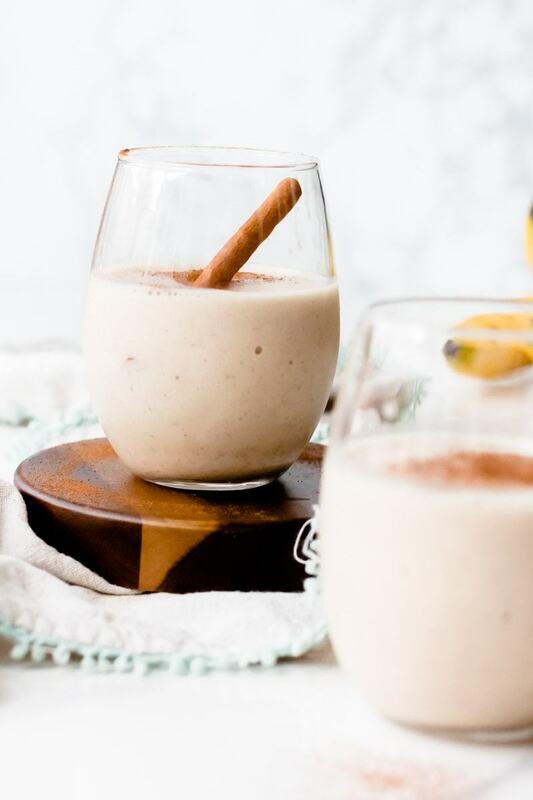 A delicious, creamy, and healthy protein shake made to taste like a snickerdoodle cookie. Sounds yummy! Had never heard of these shakes! Yum, this is a favorite! I like BSN Syntha 6 and Shakeology. I’ll edit the posts to include some links. just like the cookie! so so good.